The Faculty of Science and Engineering organised the ‘WOW: Work Opportunities Wolverhampton’ event which was delivered in partnership with Just Finance Black Country and held at the new Elite Centre for Manufacturing Skills Hub on the £100 million regeneration site of the former Springfield Brewery. The Employability outreach event brought together businesses, education providers and practitioners to inspire and engage with young people, particularly from Black African, Caribbean and dual heritage backgrounds and their parents and focussed on Science, Technology, Engineering and Mathematics (STEM) subjects in addition to Law, Social Sciences and Health. Visitors were given tours of the University Campus as well as opportunities to take part in workshops covering topics such as Work & Money, Getting a Job & Keeping a Job, How to Achieve Success and the A-Z of Super Confidence. There were also mentors and role models from a variety of different businesses and backgrounds on hand to give advice. Exhibitors at the event included ACCI (African Caribbean Community Initiative), HS2, HSBC Bank, Midland Metro Alliance, West Midlands Ambulance Service and West Midlands Police amongst others. Dr Petula Nurse, Principal Lecturer in Biomedical Science and Head of STEM Outreach and Community Engagement at the University, said: “This is a new event and we’ve had a very promising response with attendance from a wide range of employers and businesses. 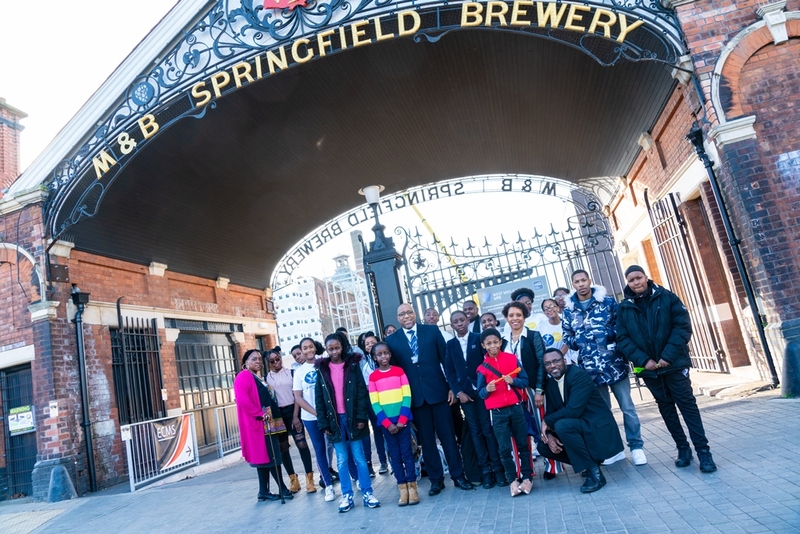 “Young people have come from around the region to find out about the opportunities on offer, giving them an insight into what careers might be available to them but also to be inspired and encouraged to think bigger about their future. “This event is extraordinary because it has been supported by local churches which are an integral and important part of the BAME community and provide a strong network for the young people in these communities. Greg Fearon, Resource Manager at Midland Metro Alliance, said: “In terms of our business, people see us building things but we actually offer a wide range of jobs from technicians and engineers through to administration and support staff. Reverend Cassius Francis, Just Finance Black Country's Development Worker, said: "We are delighted to have been able to work with the University of Wolverhampton to deliver this event. As we aim for a fair financial system that serves the whole community we are very aware of the crucial part of employability for our young people to achieve this. I very much hope that we can do this again." Key partners of the event included the Elite Centre for Manufacturing Skills, Spectra First Ltd, Steve Biko Supplementary School and Wesleyan Holiness Church.